219.15 sqft. - 361.45 sqft. Dhruv Residency Excellency Kwing, by Dhruv Associates, comes with a promise of fine living. It is situated at Pashane beyond Thane, near Mumbai. Spread across an area of 0.34 acres, the project offers skillfully designed 1 BHK units. The unit sizes range from 219 square foot to 361 square foot. Each apartment is constructed to make an optimum use of space. Within a radius of 4 kilometres, residents can access major educational institutes, banking facilities, medical care and groceries. With an excellent rail connectivity in the city, the Vangani railway station helps commuters travel to various parts of Thane and Mumbai. 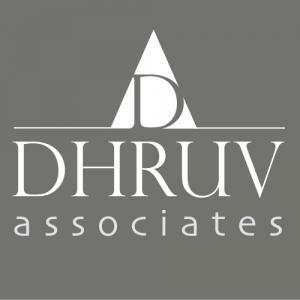 Established in 2003, Dhruv Associates is a well-reputed name in the field of infrastructural development. Wisdom that goes beyond collective years and their individual experiences, the company has an efficient and sincere team. They have been practicing landscape and site consultancy for more than a decade in the recent past. They have handled projects that have ranged from small layouts to commendable major undertakings like townships. With a team that consists of highly edged professionals, they are a leading firm that are still growing with every passing projects undertaken. To grow internally and expand externally is their motto to achieve long term success.